It is not rare to see a dual rear or even dual selfie camera setup on a chic smartphone, but have you noticed that 4 cameras combination are currently in vogue? We’ve talked about the decent gaming and video watching experience on the 6.44-inch UHANS Max 2, and today we are going to figure out what its 4 cameras setup performs? 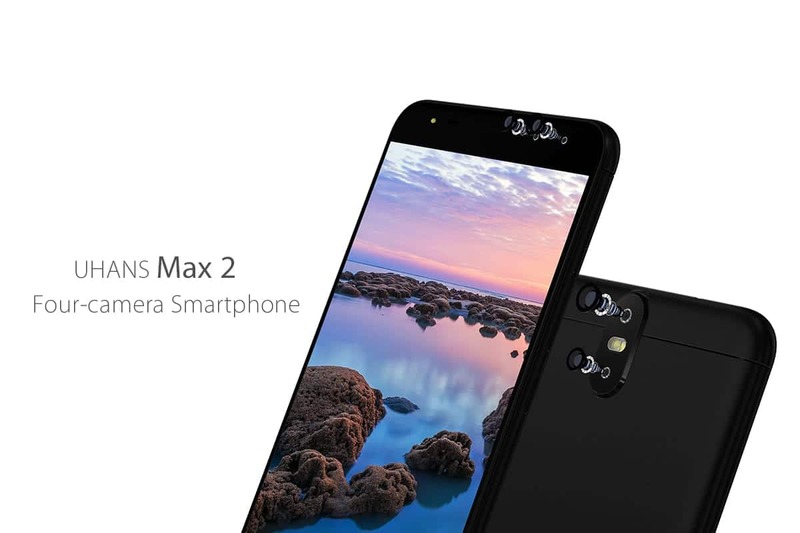 As stated, you will find dual rear-facing cameras and dual front-facing cameras together on the UHANS Max 2. Meanwhile, both of them feature 13MP+2MP camera setup. The primary camera is in charge of taking high definition pictures while the secondary camera is responsible for capturing in-depth information and feeding it to the final image.As you can see from the video, you can refocus the image with tapping and control the bokeh field via sliding the on-screen rocker to manipulate the blur effect and make the preferred part stand out. Which means features that can only be found on a SLR camera will also be fulfilled on UHANS Max 2. Of course, apart from the the highlight of the SLR function, the UHANS Max 2 is also configured with regular shooting modes, such as: panorama, facial beauty and standard photo. It will satisfies almost all the requirement for recording the special moment. The global premiere of the UHANS Max 2 will kick off in September, for more information about the pricing, please stay tuned to TL.